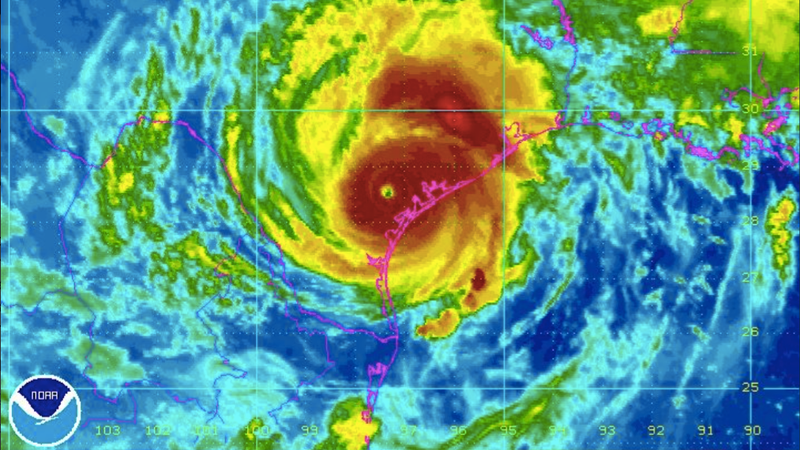 Harvey inflicted catastrophic damage this past weekend, decimating the Texas coast as a Category 4 Hurricane, dumping feet of rain and bringing massive floods. But it’s still a Tropical Storm, and it is not finished yet. Harvey’s center has headed back out to the Gulf of Mexico, where additional moisture is causing thunderstorms to build yet again. Meteorologists predict that the storm will bring another volley of rain and thunderstorms to Texas and Louisiana before finally letting up. But today, the calls for help are rolling in. A US Coast Guard Lieutenant, Mike Hart, told CNN that the Coast Guard has received over a thousand calls per hour. Sources only report ten or so fatalities form the storm, but flood waters keep on rising and officials expect the number to increase. The level of destruction is staggering. The storm has already dumped historic amounts of water, pummeling at least one Houston Metro weather station with almost 40 inches of rain between 8PM CT, Thursday and 10AM CT, Monday, according to Weather Underground. Harvey has returned to sea, and its future still contains uncertainty. Models don’t expect its winds to regain hurricane force, but the concentrated moisture could dump further rain over Texas and Southern Louisiana today into tomorrow, and even bring further storm surges to coastal communities. Floodwaters will continue to rise as rivers swell and reservoirs release overflow. Rescue efforts continue to focus on residents stranded by the floodwaters in and around the Houston area, as Mayor Sylvester Turner did not order evacuations prior to the storms (reactions are mixed as to whether that was a good idea—130 people died in the evacuations during 2005's Hurricane Rita). 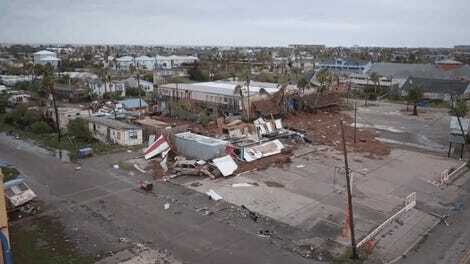 And of course, other neighborhoods along the Texas coast have faced destruction as well. Now, rescued folks are filling Houston’s convention center and other shelters in what Turner called “lily pads,” the unflooded areas. More than 30,000 could have lost their homes. The Houston Press has compiled a list of food banks which are accepting donations to help take care of storm refugees and others impacted by Harvey, while other groups like the Red Cross, Coalition for the Homeless and Heart to Heart International are also asking for the public to assist with recovery efforts. Others still are compiling tweets and social media posts of those in need to try and match them with responders. FEMA has also compiled a list of numbers and other resources, The Mary Sue blog has a list of ways to help, as does the Houston Chronicle. That’s all we’ve got for now, but will continue to update and post as we get more information. How Does Two Feet of Rainfall Become Ten Feet of Flooding?